US equity indexes closed exceptionally mixed, sp -2pts at 2639 (intra high 2665), with the Nasdaq comp' -1.0%. The two leaders - Trans/R2K, settled +1.8% and -0.3% respectively. 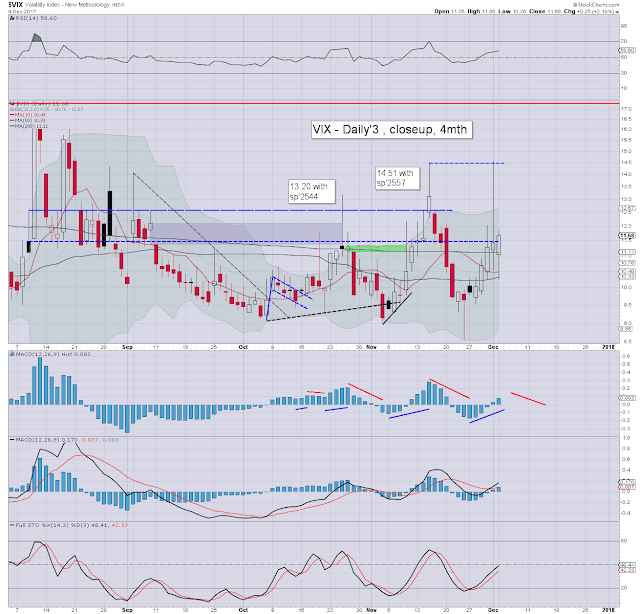 VIX settled +2.2% at 11.68. Near term outlook offers a touch of weakness to around sp'2630, before resuming upward. 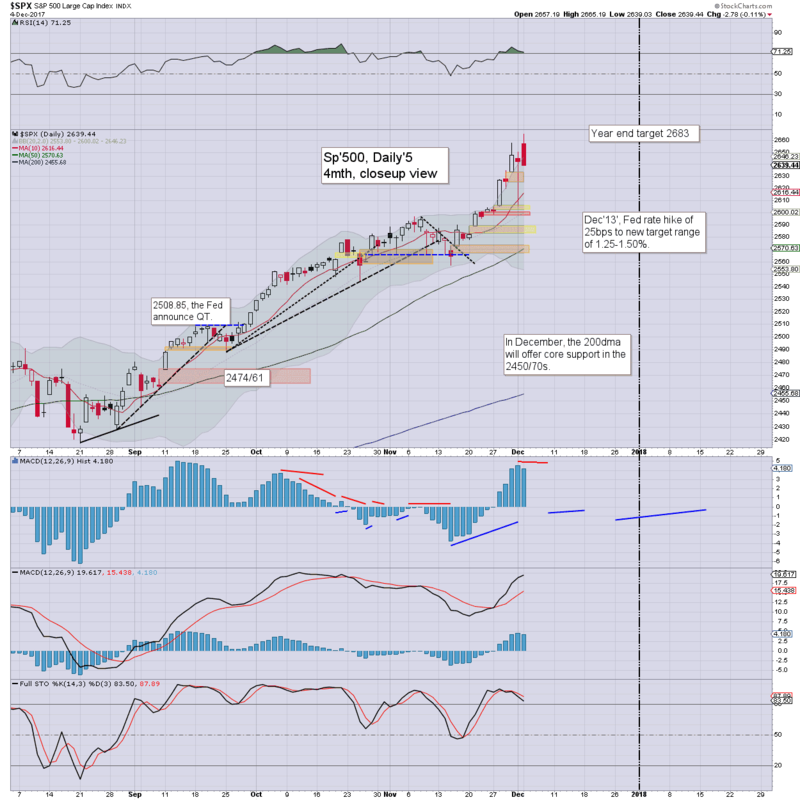 The 2700s appear within range, ironically set to overshoot the 'crazy bullish' year end target of 2683. Friday saw the 'Flynn scare', which is now recognised as an entirely inaccurate story. Further, we saw the Senate pass the tax bill on Friday. Those two resolved issues resulted in the US market opening broadly higher, with a quintet of historic index highs.Tech was notably lagging again, partly an instance of sector rotation, and further cooling after the recent technical breaks (such as MU, NVDA, NFLX). Broadly, the m/t trend in tech is unquestionably still bullish. It was a mixed day for volatility, with the VIX being ground to the low 10s in the morning, but with equities seeing some latter day cooling, the VIX notably managed the 7th daily gain of the past 8 days. On balance, the 9/8s should be seen sooner, rather than later. A fair few should now recognise that sp'2700s and Dow 25k are (in theory) just about viable before year end.